Christmas Season papers. The papers are gorgeous. Links to the products used can be found in text at the end of my post. To make the base of the box I used a 12" x 12" sheet of Christmas Season Holiday paper, and decorated each panel with papers from Christmas Season 6" x 6" paper pad. To decorate the centre I used Laserowe chipboard 3D sled. I dabbed each of the chipboard pieces with vintage photo distress ink using a sponge. Then I assembled the sled using pva craft glue. Once dry I added some snow-tex to give a snowy effect. The distress ink, twine and snow-tex are from my stash! I made the presents myself using the design papers. Above are some close ups of each of the decorated panels. Each of the images are from the 12" x 12" sheet of Christmas Season Ephemera. 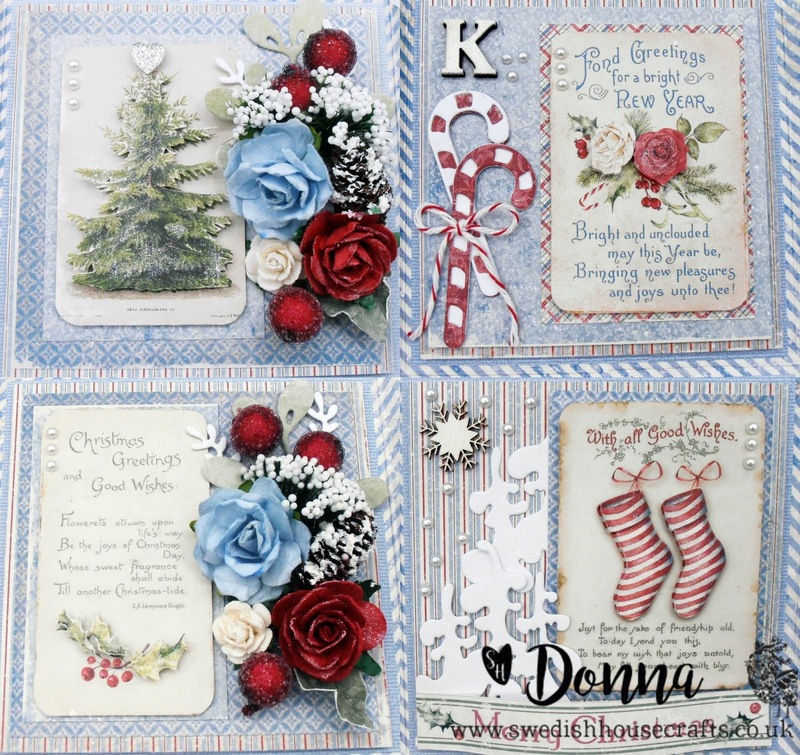 The flowers, and embellishments are from my stash, and the chipboard snowflake is one of many on a sheet of Laserowe Love Arctic sweeties snowflakes. Here is the box opened with the decorated lid. I made the lid using white card, and decorated it with papers from the 6" x 6" pad. I also made the tag using the papers.